Businessman, farmer, and philanthropist George S. Coble’s dream to expand dairy farming in the Southeast came to fruition with a deal to purchase bankrupted Davidson County Creamery and Piedmont Dairy in 1934. By 1949, Lexington’s beloved dairyman was heralded as an innovative “Young Giant” by leaders across the state. At its peak, Coble’s dairy empire profoundly impacted industry naysayers by forming the largest farmers cooperative in the southeastern U.S. In its glory years, Coble’s Dairy Products, Inc. operated seven dairy manufacturing plants, 11 dairy product distribution branches including Grade A liquid milk, dry milk, cheese, ice cream, and the Eskimo Pie franchise for the Carolinas. By 1950, Coble’s Dairy Products owned 21 receiving plants in Florida, Georgia, South Carolina, Virginia, West Virginia, and Pennsylvania, as well as the Tar Heel state. The plants employed roughly 1,200 people and processed the milk supply from approximately 10,000 farmers. Throughout this expansion, George kept the home office in Lexington and played a major role in civic and philanthropic endeavors with a legacy continuing long after Coble closed its doors in 1995. George Coble came from a long line of Quaker farmers. While being interviewed for the August 29, 1942 edition of State Magazine, a weekly survey of North Carolina, Coble referred to himself as “just a country boy trying to make good.” The country boy was born on November 3, 1908 and grew up on a farm in Randolph County near what is now Guilford College. His parents were Samuel Eli and Georgiana Coble of Florida. The young family moved to North Carolina when George was five so his father could take a job at the agricultural county agency for Randolph County and maintain a farm of around 100 cattle. George tried his hand at a few different farming initiatives, including processing fertilizer, and worked many jobs around the farm after studying agriculture at what was at the time North Carolina State College in Raleigh, N.C. He received special training from a highly regarded professor, W. L. Clevenger, who was a nationally renowned dairyman in the Department of Animal Industry and a specialist for the Agricultural Extension Service. George married Mae Coltrane, a local girl who grew up just down the street. The devoted Quakers met as young children and were wed at the Quakers Friends Church. They had three children, George Staley Coble, Jr. who died at birth, Edgar Coltrane Coble, and Georganne Coble Bingham. After purchasing the Davidson dairy, the young couple built a beautiful home on the Maegeo (a name that combined Mae and George) Farm. It overlooks rolling hills where the Cobles raised hogs, poultry, and a herd of Holstein cattle. The 2,200-acre Maegeo farm’s dairy served as a model for all dairy farmers with the most modern equipment and practices. Under Coble’s expert guidance, Coble’s Dairy experienced a fast and phenomenal growth and required George to extend outside of his Maegeo Farm. Thus, Coble began recruiting and training local small dairy farm producers across North Carolina. He was eager to prove that the Southeast was a prime area for dairy farming, even though large Midwestern farms were consistently pressuring farmers in order to control the market. When George founded Coble’s Dairy, North Carolina ranked 22nd in milk production and 25th in the number of cows. He brought in a cattle expert and fair judge, B.B. Brome, to negotiate the purchase of high quality Holstein, Guernsey, and Jersey dairy animals from Minnesota with the intent to breed and sell the cattle at cost to local farmers. By 1940, Coble had set in place plant expansion outside of Davidson County, and the first milk receiving and processing plant was built for the sum of $250,000 in North Wilksboro in May of that same year. The plant was said to be one of the most modern of its time and included the first spray milk drying equipment in the state. Growth in N.C. and Va. happened rapidly between 1934 and 1945. Production facilities sprang up in Wilkesboro in 1939, Walnut Cove and Lansing in 1940, Sugar Cove in 1941, Yanceyville in 1942, Ramseur and Guilford in 1943, Lincolnton and Kannapolis in 1944, and Appomattox, Murphy, Franklin, and Rockingham 1945 in order to meet war demands and the demands of the Southeastern market. During World War II, farmers were being asked to produce much more food with fewer workers and, in addition, they had to comply with a whole new set of regulations. At this time, Coble’s Dairy benefited from large government contracts that included providing dry and frozen milk to WWII soldiers and hospitals. Its innovative Pure-Pak machine had the capacity to produce 32,000 quarts of frozen milk. The federal and state governments also provided the dairy with poultry specialists to begin powdering eggs on behalf of the war effort. Meanwhile, Coble solicited help from the federal government for labor to build large gabled barns, also known as “milking parlors.” On April 12, 1945, German prisoners who were being held at a camp in Winston-Salem were brought to Davidson County to help with the construction of two new calf barns and install facilities. Those milking parlors still stand in the Cow Palace area of Davidson County. Finding labor was challenging during the war years as many young men were being drafted from Davidson County. While they were away from their families, the Coble’s Dairy family solicited prayers and published greetings from soldiers in its monthly newsletter “The Coble-Patron Cow Bell.” Coble also assured that when local men returned home from the war they would have employment. “We, at Coble’s Dairy Products, are pleased not only to report that the jobs more than 150 of you left when you joined the Armed Forces are still waiting for you, but also, that these jobs represent even a bigger and better opportunity for you in the days ahead,” Coble wrote. According to George Smith, dairy farmer and president of the Davidson County Farm Bureau, Coble was directly responsible for the sustainability of local farms. Smith, who currently owns a portion of the land that once belonged to Coble, said his father was a charter member of the cooperative of farmers who went from owning stock in the company to eventually buying out George Coble in the 1950s. Smith said Coble was “financially a little ahead of his time.” He helped farmers who couldn’t afford the capital expenses like steel storage containers required by new regulations for dairy farmers and “dealt with the mom-and-pop shops.” Coble had been warned by financial analysts not to sell too much stock to the farmers, but he ignored those warnings. The farmers eventually came together to buy out Coble, and they changed the name slightly from Coble’s Dairy to Coble Dairy, but continued producing milk under the Coble name until being bought out by a larger dairy in 1995. Coble realized at the outset that quality herds were the foundation of a sound milk-handling industry and the company always worked to improve the size and quality of herds, as well as educate small-scale farmers to use the most modern and sanitary methods of production. Farmers in the cooperative were able to use the latest technology and inspections were made of all herds producing milk for the company’s processing plants. The company also encouraged farmers to increase their supply and improve their herds. Jerry Smith, a former company controller, was the last one to lock the doors on the Lexington office before it was purchased by Mid-America Farms and Coble Dairy closed its operations on July 4, 1995. Seeing the cooperative finally sold to a Midwestern group was bittersweet. “They were a huge cooperative and were trying to control the milk supply so they could control the prices of milk across the US, but I don’t think they accomplished that,” said Smith. George Smith, whose father was one of the founding members of the farmer’s cooperative, is one of the surviving dairy farmers in Davidson County. Smith owns and farms a portion of what was once Coble land and recognizes what George Coble contributed to local famers now more than ever. And while Coble Dairy has gone away, fruits of its founder’s civic and philanthropic endeavors remain. From what his granddaughter, Staley Nance, and her husband Jim call “sophisticated” fundraising his efforts for what would become Lexington Memorial Hospital during the war years, to helping build the Kiwanis Kiddie Camp, to using his appointment chairmanship on the N.C. Highway Commission to push for highways across the state and right here in Davidson County, Coble’s demand for health care access and economic improvement went well beyond the dairy. His daughter, Georganne Coble Bingham, remained close to her father, even after he moved to Florida following the sale of Coble’s Dairy. She fondly recalls riding around with her father while visiting the famers and their families and remembers one of his favorite pastimes was having breakfast at other farmers’ houses. “My father was a humanitarian and he did a lot of things for families that people didn’t know about,” she explained. “A lot of the men my father worked with have passed on, but I heard from one a few years back. Every year at Christmas my father gave silver dollars to each of the employees based on how many years they worked for him. He would also give them a lesson on savings. One of them contacted me to tell me how much they were worth today. He had saved them all of those years and planned to leave them to his children. My father would have loved that story,” said Bingham. On more than one occasion the Randolph County farm boy George Coble was told his dreams were ahead of his time, and perhaps they were. But we can let his legendary innovation and the willingness to take a chance on Davidson County serve as an inspiration to us all. All girls dream of going to the prom. They have fun finding the perfect dress with their friends, scoping out the best color-matched accessories and shoes to make the picture-perfect night meet all of their expectations. With the assistance of local teachers and educators, many of the girls who couldn’t afford the cost of a prom ticket and the daunting expense of the right outfit are now able to have their dream night come true. Amanda Bostick, Student Support Specialist with Communities in Schools at Lexington Senior High School, has found a way to put the happiness back into prom for many local teens. Each year, Bostick and staff gather prom dresses and allow students who are unable to pay for a dress to peruse through gently worn dresses and find the perfect one for prom. Every young lady dreams of going to the prom, but for these girls it’s just not an option because they can’t afford it. “The staff gets together to help them pay for their prom tickets and the whole purpose is to help these girls fit in. Prom is an excellent opportunity for young ladies to feel good about themselves and to dress up. Many of these kids don’t have clothes to wear to school each day, so they definitely couldn’t afford a prom dress,” added Bostick. Year to year Bostick and staff will gather donated dresses to offer during the event. “We host the event in the library, offer refreshments, and allow the girls to look through the available dresses and try on until they find one they like.” Each year, according to Bostick, between 50 and 75 dresses are available. On average, 50 girls will participate in the event annually. “We try and host the event during the week because transportation can be a huge issue for these teens and we want them to have the opportunity to participate if there is a need,” said Bostick. In partnership with Communities in Schools, alterations are paid for if adjustments are needed, and the dresses are free. Many of the students that Bostick works with are working really hard to succeed, but deal with the language barriers of their parents, lack of proper food, or even lack of power or water at home. “I always encourage them that their education is a way out of these situations,” said Bostick. A program that is also available to qualified students is an after school program called Life Instructions for Teens or L.I.F.T. This program is offered through a grant from the North Carolina Juvenile Crime Prevention Councils and allows kids actually to get paid for attending the program on Mondays and Wednesdays. “This program offers life skills like resume building and speaking in public,” said Bostick. “There are approximately 25-35 students in the program and the great upside to the program is that once it’s completed, the staff works with the students to get them paid jobs during the summer months. I tell students every day, no matter what their situation is, no matter how defeated they feel, always walk with your head up. I tell them to thank God every day that they got up that morning and be proud of yourself and who you are,” said Bostick. Suffering from her own childhood issues, Bostick makes it a point to make sure that everyone feels wanted and no one feels they are forgotten about. The prom dress donation opportunity is just another example of how Bostick and the staff at Lexington Senior High are able to keep these children on the path for success and to help them know someone is caring for them. According to Bostick, “We are an amazing school where we all want to help each other out and give these teens the best opportunities to succeed. In my mind, no one is ever to feel left out!” she emphasized. One such memory is of something that happened to me when I was just a young child. My sister was with me, but she has absolutely no memory of the day at all. In fact, she has a hard time believing me when I tell her what happened. Maybe she doesn’t want to remember because we got in trouble with our mother that day. Big trouble. It was a beautiful sunny morning on that day in the early 1960s. My mother had three preschool children at the time and another child on the way. She was busy with our little brother that morning and had encouraged my sister and me to play outside. Playing in the front yard, I soon spotted the milk truck. In those days, Mama stayed at home with the children while Daddy drove our only car to work. With a house full of children, our family went through a lot of milk and since Mama had no way to go to the store, the convenience of having milk delivered was very important to her. 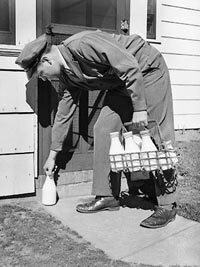 I had often heard Mama tell the milkman to just “put it on our bill” if she needed an extra quart of milk that day. I had also seen the milkman deliver ice cream to the children in our neighborhood. Mama never ordered anything but milk, and I sometimes wondered why we never got ice cream like some of the other children. So that morning when I saw the milk truck stopping and starting on our street, I had an idea. “Go ask Mama if we can get ice cream from the milkman,” I instructed my sister. She ran straight toward the house while I kept my eyes on the milk truck. “She said yes, she said yes,” my sister shouted as she ran around the corner of the house. Quickly I waved the milkman over and proceeded to order our treats. 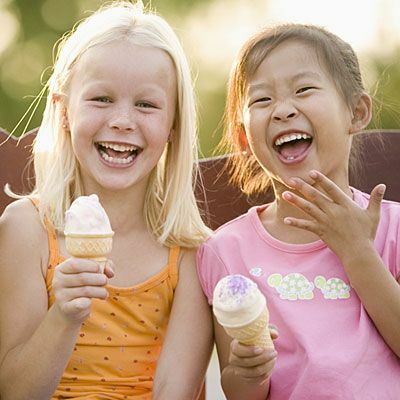 “Just put it on our bill,” I mimicked my mother, as he handed my sister and me our ice cream. The minute we stepped inside the house and saw Mama’s face, I knew that something had not gone according to my plans. “Where did you get that ice cream?” Mama demanded. I’ll spare the details of the rest of our conversation and the tales of swats with the flyswatter on our legs, although I remember that like it was yesterday, too. There will be people who excuse our little girl actions by saying we were just children, that we didn’t know better. But we learned from our mother that day, among other lessons, that it was wrong to tell lies and that you should never even think about taking something you are not able to pay for. One look at the adults in our world makes me think that some parents may have neglected to teach their children lessons like the ones my mother taught my sister and me that day. But if we start now, maybe it’s not too late to start teaching our own children and grandchildren those life lessons that will shape their lives and help them make responsible decisions as adults. After all, the most important lessons in life are the ones that yield the fruit of righteousness instead of painful consequences. Do you remember that age where you thought you knew everything? It wasn’t just false hubris. You were convinced that you had all the answers and nobody — especially your dear parents — could tell you otherwise. My father used to tell me that he’d forgotten more than I would ever know. I guess that was his way of feeding me some humble pie, but ignorance is bliss. Most of us grow out of that stage, but it takes some (me) longer than others. I waited until I went off to college at the University of North Carolina at Charlotte to study exercise science where I realized I just might not be the smartest person in the room. It wasn’t hard to do since many of those rooms were filled with over 100 students. Some of them seemed to have everything figured out at the ripe old age of 20. They had plans for their future and had thought through the steps it would take to achieve their goals. How I envied them. I could not comprehend the idea of what building a life and career consisted of and how, when I was just living for the weekend, that these kids were mapping out their lives. That you can party and be productive was a foreign concept to me at the time. I didn’t think they were necessarily more intelligent than I am, but they were more driven. There was zero fear of failure; only their dreams of future success. I look back now at the age of 28 and ponder why I still don’t have everything figured out like all of my former classmates had, or at least thought they had. I take solace in a recent article I read pointing out that most adults do not believe they have achieved stability in life until they are 36 years old because “adulting” is hard, but that fact gave me hope that I might actually have a chance in this world after all. Sometimes the anxiety of failure can overcome the ambition to succeed, and that is why many of us don’t take chances in life. Maybe we don’t apply for that job because we might actually get called for an interview. It feels much better to play it safe than to have our pride take an uppercut. Moderation is the key word here. Reading a golf magazine and trying to incorporate the 11 pages of swing tips into your game simultaneously and trying to contort your body in the most unnatural ways because you tried to put the puzzle together all at once doesn’t really work. It is better to add a little here and a little there so that you can put the puzzle together without losing all religion in the process. It is here where I think I may have something to offer as it relates to fitness. My first piece of advice is that it is not wise to make the decision to quit smoking (if you’re a smoker), eat healthy and start running five miles per day all on January 1st. The first ingredient in achieving a goal is that it needs to be realistic. The prudent play is to set small goals that will eventually lead you to the grand prize, which is to attain overall good health and well-being. These are just the pieces of the puzzle that will not fit together unless they completed in the proper order. Don’t get me wrong,; dreaming big is never a negative, but one must realize that it takes time and dedication along with plenty of perspiration to reach your end goal. Somewhere in the not so distant past, yours truly was a smoker going through approximately a pack per week. It wasn’t until I was heading home from a beach trip with some close friends that I told myself ‘I’m not buying another pack ever again’ and I haven’t since. I swear! This proclamation was made less difficult due to the fact that I felt lethargic and my lungs were unable to work at their full capacity. Someone with my exercise habits shouldn’t be exhausted one mile into a run on a beautiful late summer day. It wasn’t that my legs were tired; my alveoli which are tiny air sacs in our lungs that absorb oxygen to deliver to our blood were at the point that they were probably delivering more C (carbon), than O2 into my blood stream. Smoking prevented me from doing the things that I wanted to do. Luckily the other pieces of the puzzle were already in place as I was exercising habitually and my diet was well balanced. Surprisingly, only 15% of Americans are current smokers according to the CDC, and that number is trending downward every year. So I decided to assimilate and become part of the majority. As an alternative, I encourage people to take on the challenge of improving their health in the form of exercise. Exercising is much easier than quitting smoking, so instead of taking on the biggest guy in the crowd (smoking), pick on the smaller one that you know you can handle (exercise). Life is about moderation, not deprivation. It is okay to reward yourself because you deserve to get paid if you put in the hours at work. Your body deserves a cheeseburger if you spent two weeks torturing yourself in the name of good health. Just don’t exercise for an hour then reward yourself with a pizza, because there is a thick line between rewarding yourself and defeating the purpose. Know your limits. What’s the point of running 10 miles if you can’t walk for the next 2 days? There is no scientific evidence that says professional runners live longer. In fact, the opposite is true. Because habitual runners are constantly putting so much stress on their heart, the walls thicken which leads to a much higher risk of heart attack. Even running requires moderation. You are more likely to work out at a gym than at home. Spend $2,000 over the course of 5 years for a gym membership rather than on a fancy treadmill that will collect dust in your basement. You can’t find time to work out, you have to make time. You always have 30 minutes or an hour to watch your favorite TV show; therefore, you can make it to the gym for 30 minutes to work up a sweat, and you’ll be glad that you did. Staying active is the most important thing. Peak bone mass is reached at the age of 30 and then reduces as you age. Walking, jogging, hiking, and resistance exercise is key to slowing down your bone loss. It is never more important to exercise than when you are over the age of 40. Don’t depend on someone else to be your workout partner. They will always let you down. I know that sounds hopeless, but you are in charge! Anyone can find an excuse not to exercise, so it won’t help to have someone else making an excuse for you. Use your common sense. There is no miracle cure or easy way out to achieving good health. Learn how to sort through the clutter of fad diets and the greatest new products. If it seems too good to be true, then it probably is. Set small goals, then once they are achieved move on to the next goal. Nobody starts at the top. It takes 60 days to form a habit. Eventually your day will not feel complete unless at some point you pushed your body to fatigue. 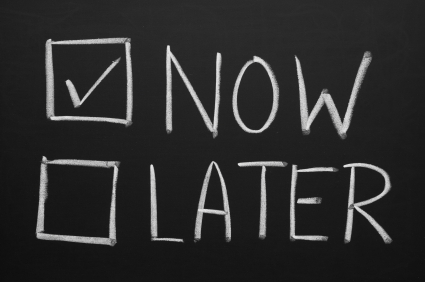 Remember, 80% of success is showing up. Even if you planned on working out for an hour but you only lasted 20 minutes, you are still better than you were the day before. Choose your exercise plan wisely. Working out the same muscle group day after day can be a negative. They need time to rebuild and repair. When you strength train (weight lifting), your muscles are experiencing micro tears and it takes time for protein to repair the tears, which then leads to hypertrophy (the enlargement of the muscle). 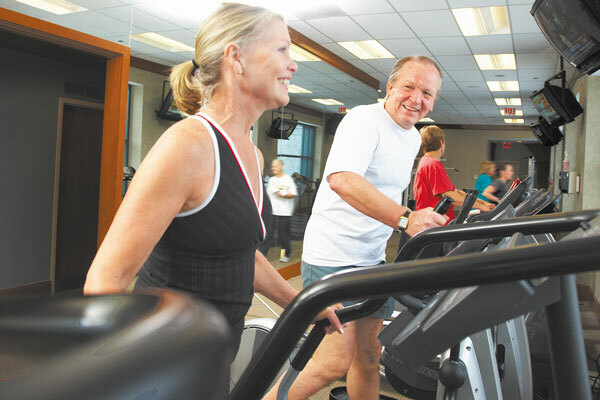 Rest as well as exercise is a very important component to living a healthy life. For those who have a slow metabolism or if it has slowed due to aging, eat breakfast like a king, lunch like a prince, and dinner like a pauper. Eating a large breakfast kick-starts the digestive system and speeds up your metabolism which will naturally slow down throughout the day. Therefore you should eat a smaller lunch and an even smaller dinner.